The 4 leaf clover dishcloth is the first project I tackled with a design. I enjoyed it so much; I had to make one with a bunny for Easter! 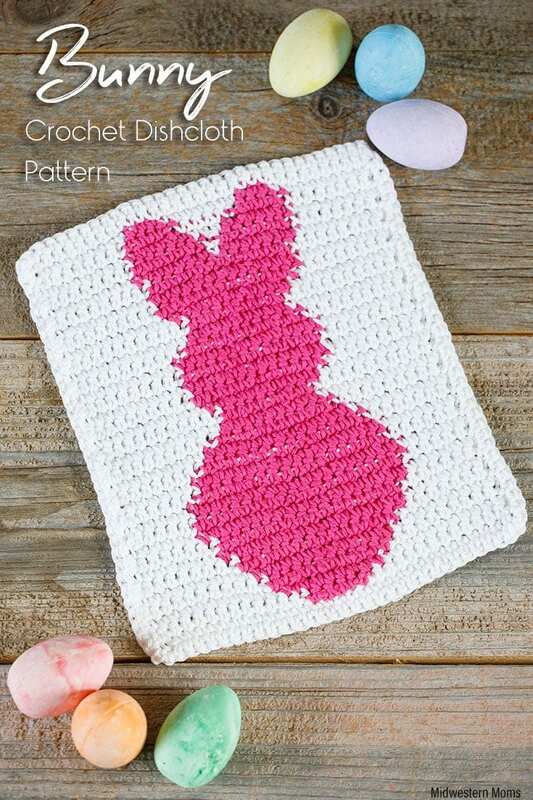 Want more crochet dishcloth patterns?? This pattern uses single crochet stitches so all levels of crochets will enjoy it. You will need 2 colors of 100% cotton yarn. Color A will be the background color. Color B will be the bunny. I carried Color A throughout the whole project. Color B, I cut my yarn each row and weaved in my ends when the project was complete. H (5.00 mm) Crochet Hook – I love this hook! Row 36: (Color A) Chain 1. Single crochet across. (31 stitches). To finish, I used Color A and single crocheted around the dishcloth. I placed 2 single crochet stitches in each corner. If you would like a printable version of the pattern, simply enter your information into the form below. The printable version will also include a chart to follow along with. Oh my gosh this is adorable! I have never done this type of crochet and this will be my first project with a design like this. 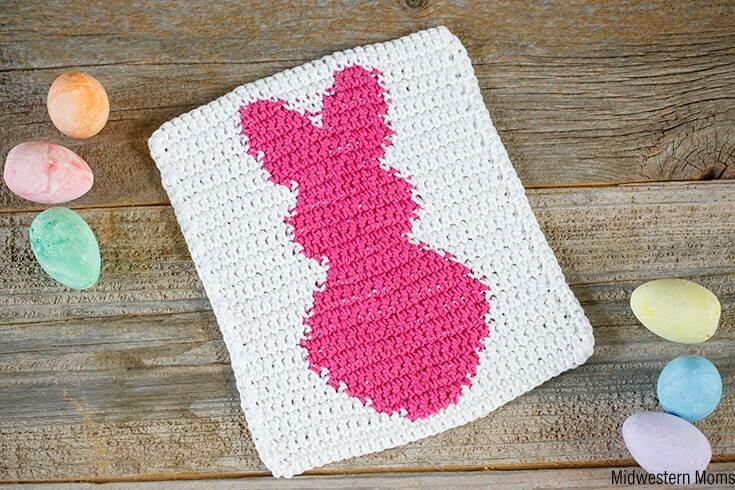 You make it sound so easy I most definitely will be attempting this dishcloth! So cute! Just something I was looking for a cute Easter gift for my daughter in law! Heading to the yarn store right now! Thanks so much!